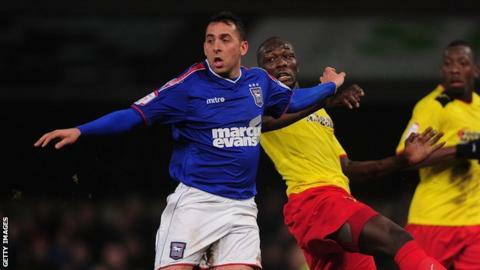 Blackpool have signed striker Michael Chopra and also had an offer accepted for Bristol City's Steven Davies. and before agreeing a one-year deal with the Seasiders. The 29-year-old is Blackpool's third summer signing, joining and at Bloomfield Road. Meanwhile, City boss Sean O'Driscoll confirmed the League One club had accepted a bid for 25-year-old Davies. for the former Tranmere and Derby forward this summer. Davies scored 13 goals in 38 games last season but was unable to prevent the club being relegated to the third tier. "Nobody's pushing him out of the door, but we've accepted a bid because we think it's a fair one," O'Driscoll told the club website. "Every player at this club wants to play in the highest division they can. Some of them will have that opportunity, some of them won't. "First and foremost the club has to accept a bid for that to happen, which in this case we have, so the player is free to talk to Blackpool." Blackpool have the option of extending the contract of Chopra, who scored 19 goals in 82 games during two seasons at Ipswich, by a further 12 months. Sheffield Wednesday and Barnsley were among the clubs hoping to sign the former Newcastle, Sunderland and Cardiff man. It has been reported that Ipswich and Chopra were set to agree a financial settlement over the remaining 12 months of his three-year contract at Portman Road, although neither club has revealed whether Blackpool have paid a transfer fee for the player.